Have you seen this man? Hint: if you have, you have either visited the Massachusetts Supreme Judicial Court or you are, like, 200 years old. 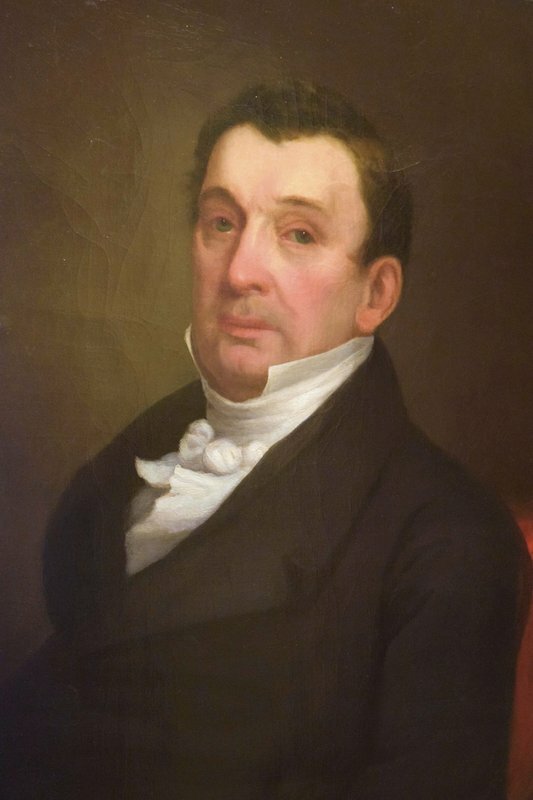 The Associated Press reports today that the SJC is asking the public for help identifying the gentleman—if he was a gentleman—who is depicted in this portrait that’s been hanging in its courthouse for some large but apparently unknown number of years. According to the report, officials have been trying to identify this guy for more than a decade, with no luck whatsoever. Chief Justice Ralph Gants said he finally suggested trying to crowdsource it. The apostrophe is for making (1) a contraction or (2) a possessive. (The exceptions are so rare that let’s not confuse anybody by saying they exist.) “Sherlock Holmes’ hats” can’t be the former, so it must be an attempt at the latter. But a possessive is virtually always made by adding apostrophe+s, not just the apostrophe. There are basically only two exceptions: (1) a plural noun that ends in an s sound, or (2)—and I’m quoting a real source here—”some ancient multisyllabic names that end in a sibilant sound,” like Jesus, Moses, or Socrates. If that’s what you’re dealing with, no s, just the apostrophe. Otherwise, apostrophe+s. Of course, you could write “deerstalker hats” and avoid all this, but that’s not what he said. Oh, right—so, the Supreme Judicial Court has no idea who this guy in the portrait is. Gants said they have “essentially ruled out” all prior chief justices, but believe he was an associate justice sometime between 1780 and 1820. Of course, because they don’t know who he is, they don’t actually know whether he was a justice at all. They are simply reasoning that he “must have been” because his portrait is hanging in the courthouse. That does seem like a fair assumption, but I kind of hope it turns out that somebody snuck in one night, took one portrait down and put up his own, and then took down the name plate. I’m sure he’d have told somebody about this great practical joke before he died, but maybe he was hit by a carriage or something. Anyway, if you can reliably identify the man in the portrait, you will be invited to the courthouse for a guided tour and so you can pose for a picture with Chief Justice Gants as he unveils the mystery name. (Will they fly you to Boston? Almost certainly not. But I will give you $5, if that helps at all.) Please help if you can. 1 No, if there were more than one “Sherlock Holmes,” those would be the “Sherlock Holmeses,” and then you’d have the “Sherlock Holmeses’ hats.” But I enjoyed writing this footnote so thanks for thinking of that. 2 Yes, you would hyphenate it if it weren’t a proper noun, but it is, so you don’t. I don’t make the rules. But again, thanks for overthinking this with me.